"Songs For The Daily Planet" is the debut album by singer/song writer Todd Snider that was originally released in 1994. 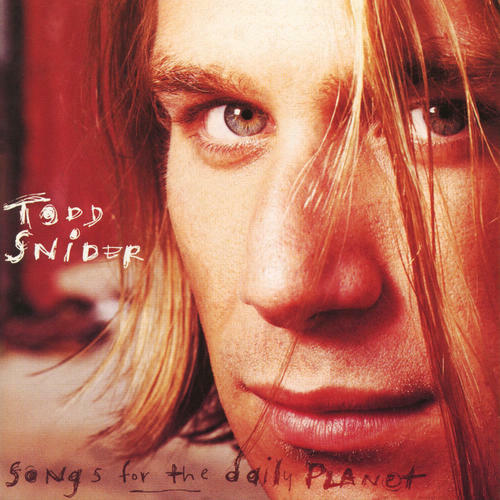 Combining country, folk and roots rock elements with rock n roll attitude to spare, the album was critically acclaimed and put Todd on the music map as a major new talent. From the opening track "My Generation (Part 2)" where he indicts his own generation, to the chilling "You Think You Know Somebody", about a lifelong friend who turns out to be a child absuser, to the final song, the Dylanesque hidden track "Talking Seattle Grunge-Rock Blues" which pokes fun at the music industry hype around the Seattle music scene, Snider's songwriting and performing chops shine on his incredible debut. In a gatefold sleeve, on translucent green vinyl, the first time ever released on vinyl!